The Psycho II is a new recreational mountainboard made for all those who want a high performance mountainboard without breaking the bank. Scrub designed the stylish four color graphics to really make it standout no matter where you park. The scrub Psycho II offers a reliable and low maintenance board that comes standard with skate style trucks but is predrilled for channel trucks if the rider wishes to upgrade. It features a completely re-designed composite wood deck with greater pop / flex. The wheels are a new lightweight 5 spoke design made from Nylon and Fiber. 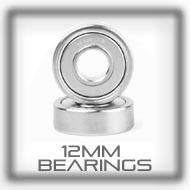 These improvements offer dramatic weight loss without sacrificing durability or performance. New comfort enhanced Velcro bindings offer an improved secure feel while keeping you feeling plush on longer riders. The 7mm composite wood deck offers a light and flexible mountainboard that won’t snap in half on the first ride. 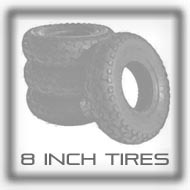 The scrub lightweight tires are offered standard on this model. The Psycho II offers an outstanding and affordable package for the recreational mountainboarder and kiteboarder looking to progress. 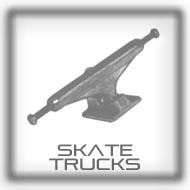 Skate style trucks offer high performance handling for a budget price. Their low cost, simple design and lightweight offer the rider a mountainboard truck anyone can adjust, and maintain. Adjustments are as simple as adjusting the nut located under the truck. Skateboarders transitioning will appreciate the familiar response and function. This is the best flex for an all-round use board. 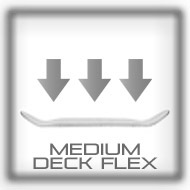 A medium flex mountainboard deck will absorb bumps over rough terrain and yet still giving the rider enough flex or pop to make and land jumps comfortably.